Tags: Copyright and music licensing, Selling and Buying Music. 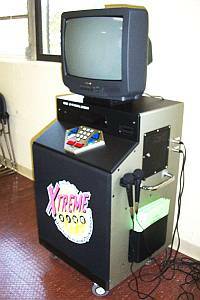 Videoke machine is highly popular in business establishments such as bars, restaurants, beach clubs, and even in malls. These machines contain thousands of song databases. It works by dropping a coin or a token before a user can sing any selected songs in the database. Video CD/DVD/chip supplier/producer – they are involved in producing midi music/videoke music to be included with the machine. The disc also contains video content along with the music. 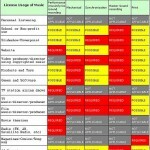 These producers only create the discs or chips NOT the actual videoke machine itself. Manufacturer/maker = this refers to the creator or supplier of the videoke machine. They order some discs or chips to be included in their machine. Owner = this refers to the operator of the videoke machine. This is most likely the owner of the business establishments where the videoke machine is operated. To make the videoke machine functional, it needs to have those discs or chips containing a wide playlist of songs. Implementation of videoke machine in commercial establishments requires a music license. This is secured from the music publishers or public performance societies they are represented. The rights used in the videoke music licensing seem complex at first, let’s break down these rights in the manner that they appear or used throughout the process. 1.) Mechanical rights – this is the right to use and embed music in physical media (discs or chips). The payment is per copies distributed or sold. The one that will be paying the license is the DVD videoke disc creator. The license will be paid either to the music publisher or the mechanical rights representative such as Harry Fox agency. These licensing rates vary depending on the application and country of operations. In United States, this is set by the US Congress; you can get some information here. Read this article on what is a mechanical license agreement for details. 2.) Synchronization rights – this is the right to use copyrighted music along with videos such as DVD videoke project. Use of synchronization rights are common in film, video production and videoke machine. The creator/producer of the DVD/VCD discs or music chips will be the one to get this license and pay the associating licensing fees. To ask for permission to use these rights, you would be contacting the music publisher of the song. 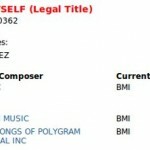 In case you do not know the music publishers involved start with knowing how to perform a song copyright search. But with thousands of songs in the videoke machine, this process can take some time. 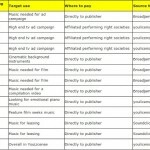 One tip is to license music from big music publishers (Warner music, Sony, etc.) first because they cover a lot of hit songs in the catalog. 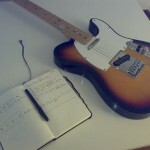 They make it easy for you to license several songs from a few music publisher.